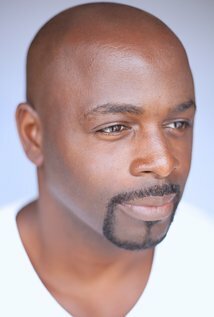 Get to know Alimi Ballard. Q & A with Queen Sugar’s Alimi Ballard! (Q): Tell me three unknown facts about yourself? (Q): What role do you play on the new hot series “Queen Sugar”? (A): I play the role Dr. Robert DuBois. (Q): Who is your character? What should we know about your Character? Where are you from?? (A): Robert DuBois is an Epidemiologist and works for the Center for American Progress in Atlanta. ( translation: He's a brotha with a few PhD's ) He meets Nova at conference discussing Mass Incarceration being moderated by Dr. Jelani Cobb. You should know that DuBois is passionate and LOVES his PEOPLE....and he's just fallen in love with an Incredible woman named Nova Bordelon. 3. I ( Alimi ) am from New York City. (Q): Do you ever go back home to visit? (A): I visit NYC at least 3 times a year. Mom, sisters, and the entire fam are New Yorkers for life. So I'll always be in NYC! (Q): Queen Sugar is a HIT! How has it affected your private life? (Q): What is it like working with award winning director “Ava DuVernay?? What projects are you presently working on? (A): Working with Ava is simply a DREAM come to life. PERIOD. My esteem for what she is doing as an Artist and as a HUMAN is profound. When I got the role, I was most excited about the opportunity to ADD to the larger conversation of moving our Country and World forward that she seems to imbue in nearly ALL of her work. Nuff Respect. (A): You can see me next on CBS's drama ELEMENTARY as NNSA Agent Kohler. (Q): How do you balance your work and private lives? (Q): What is your dream project? (Q): What advice would you give your younger Self? (Q): What have you learned about yourself since you became a celebrity? (Q): What things in life are still a mystery to you? (Q): If you could ask a sage any question that you want to know the answer to, what would you ask? (A): HOW DO I FEED ALL OF THESE STARVING CHILDREN? HOW DO WE GET THAT DONE?!!!? (Q): What things in your life would you give up in an instant if it got you to an even better place than you are now? (A): Cursing and Chocolate Chip Cookies. I loooooooooove them both DEARLY. But, I'd part ways if there was a guarantee of a better place. Maybe not the cursing. I'm a New Yorker at heart. Hahahahahahaaa..
(Q): Where can your fans find you? (Social Media platforms you are on)? Newer PostMake a statement with Statment earrings! !